The very first of many refreshed Porsche Macans has been completed, and it's Mamba Green Metallic. This fresh Macan was completed for a Chinese customer, adding his to the more than 100,000 sold in the country since its Chinese launch in 2014. Production is ramping up in Leipzig rapidly. 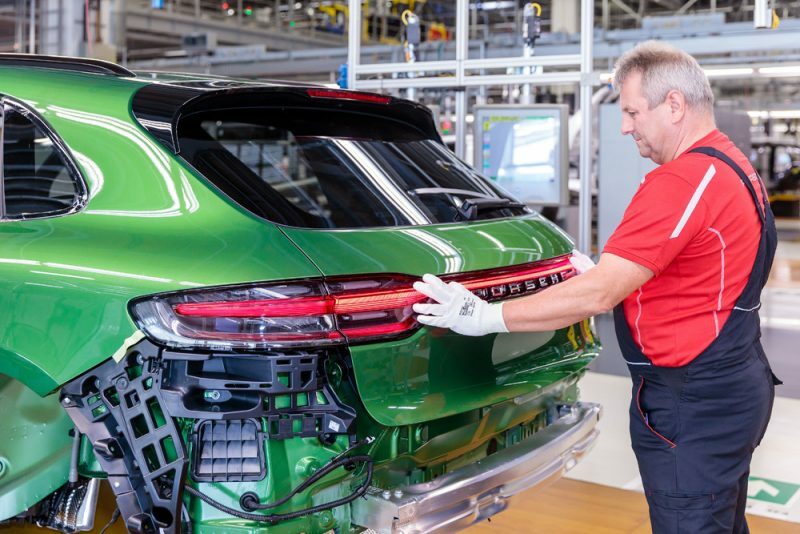 Though the series may start with a single car, Porsche expects to ramp up assembly line production to build more than 420 units per day, beginning early this month. This means that within a few days production of the new model will match the outgoing model. According to Gerd Rupp, Chairman of the Executive Board at Porsche Leipzig Gmbh. “In 2011, the model was the inspiration for a radical new beginning: That year, the plant in Leipzig was expanded into a full-sized facility to accommodate the compact SUV, featuring its own body shop and paint shop." When the facility opened in 2014, production was targeted at around 40k units annually. Today more than 90k units are produced annually in Leipzig. The new generation Macan has been redesigned to refine and update the look and functionality of the outgoing model. The taillights are comprised of a three-dimensional LED light strip, a characteristic brand trait of late. The new model also features new LED headlights as standard, a new 10.9" touchscreen, redesigned and positioned vents, and a GT Sports steering wheel shared with the 911. New functionality includes a traffic jam assistant, ioniser, and heated windscreen. 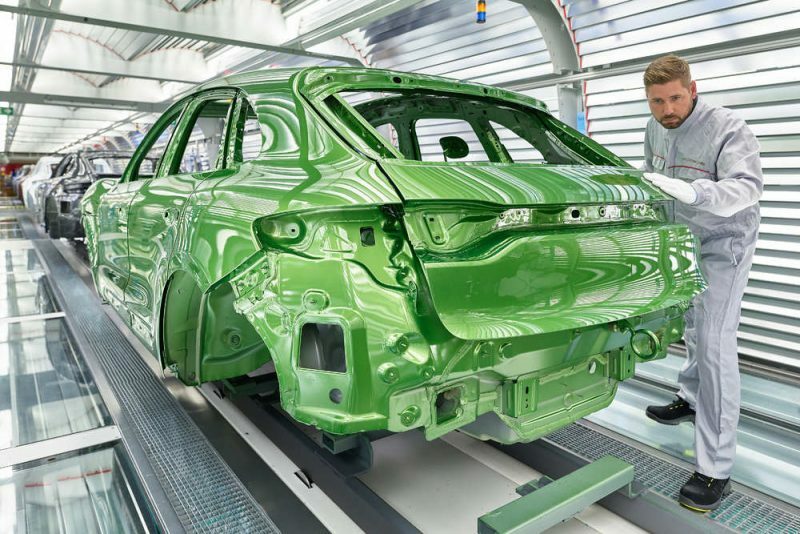 The body shop at Leipzig was expanded and updated to allow the rear hatch to be made on-site, and the facility has been optimized and expanded to meet the new production goals while maintaining quality. As recently as last year the Macan has claimed the top position for its class in J.D. Power's Initial Quality Study. Porsche has been teasing us with Macan testing in recent months before launching the new model in Shanghai in July. Per Porsche's website the New Macan will arrive in the United States next summer.